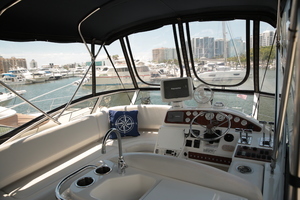 United Yacht Sales New Jersey would love to guide you through a personal showing of this 33' Silverton 330 Sport Bridge 2005. 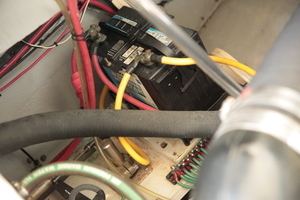 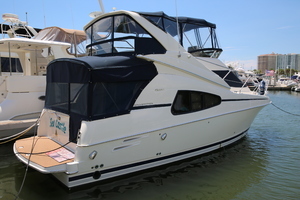 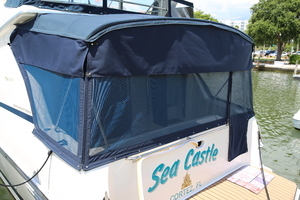 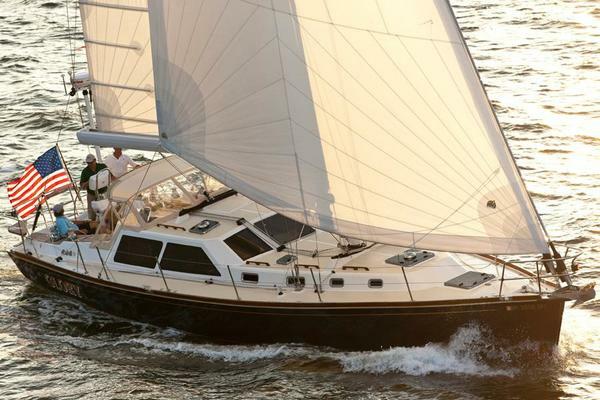 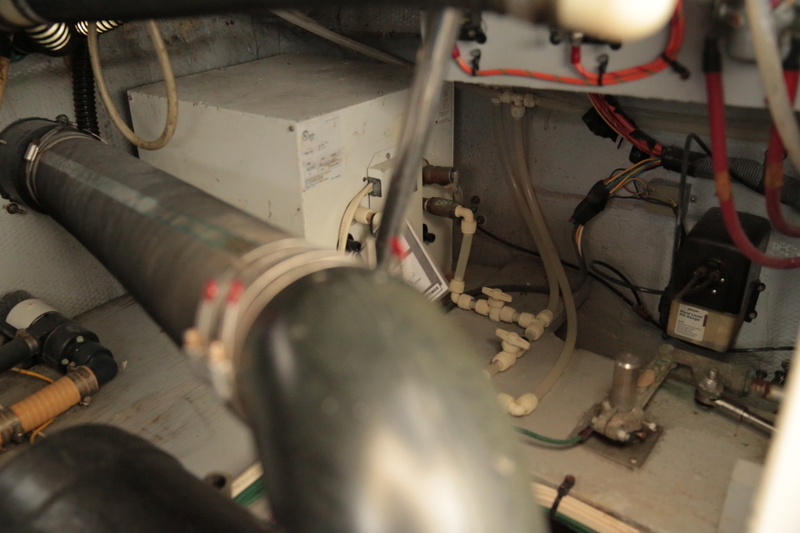 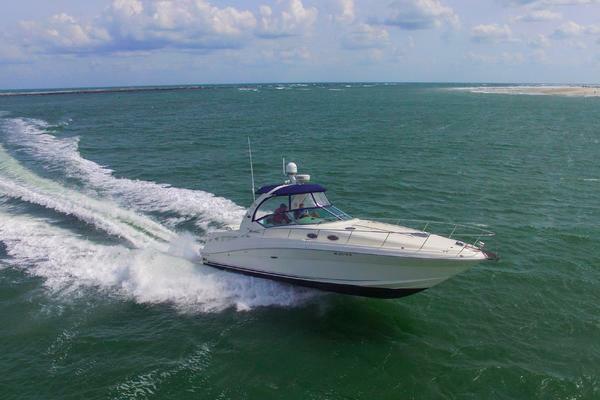 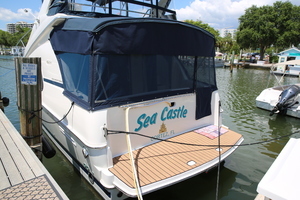 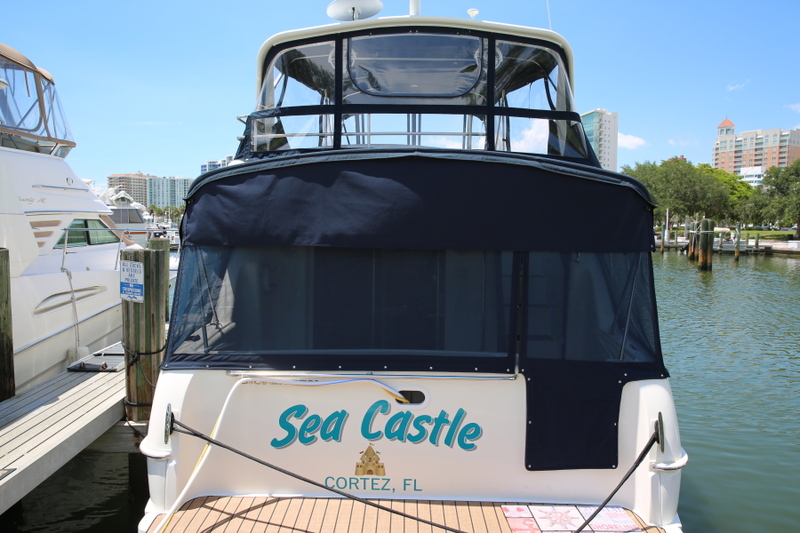 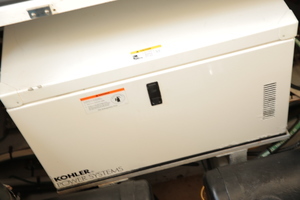 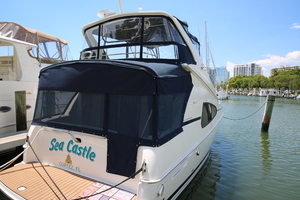 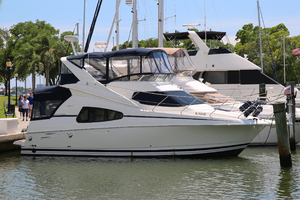 This yacht for sale is located in Sarasota, Florida and priced at $84,360. For a showing please contact us by filling out the form on this page and we will get back to you shortly! 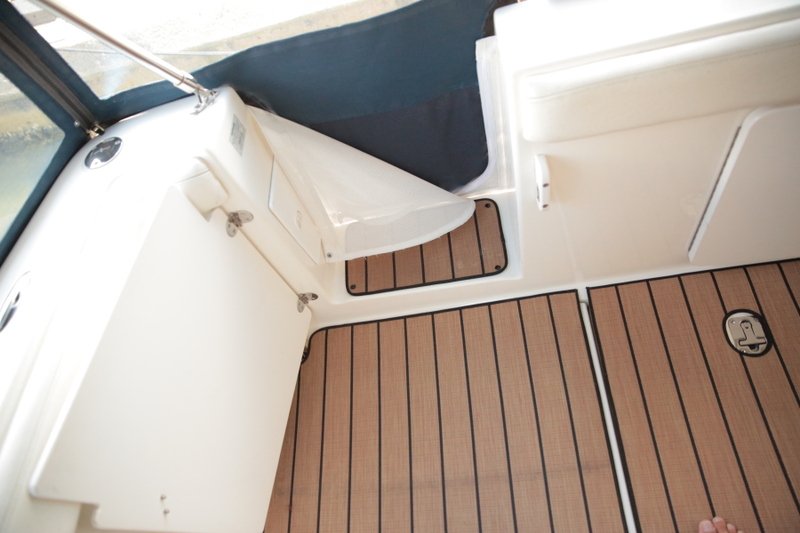 Enter SEA CASTE through the transom door (complete with doggie-door canvas) into the spacious cockpit with new cockpit and platform all-weather vinyl carpet. 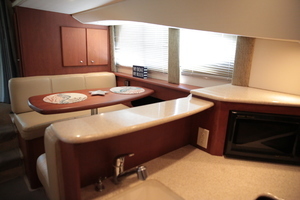 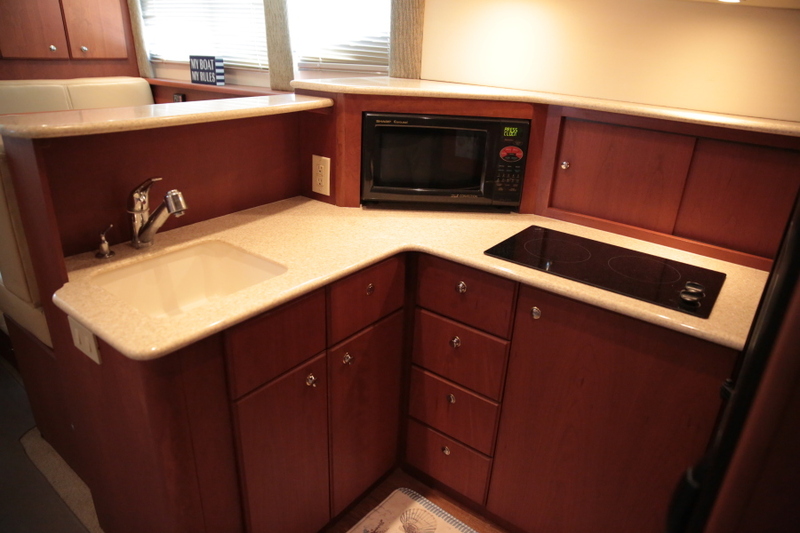 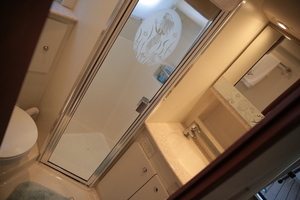 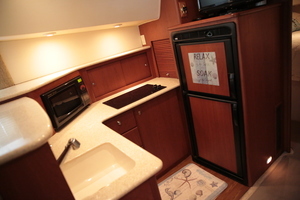 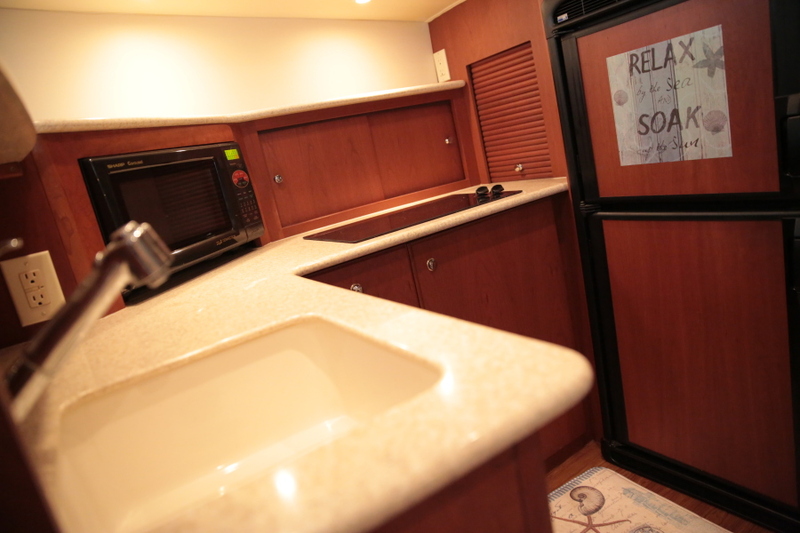 Through the sliding door and down two steps into the salon, the 4-person dinette is to port, with the large head with separate stall shower lies to starboard.Moving forward, the galley offers a lot of solid surface countertop space, a two burner glass cooktop, microwave, and large fridge/freezer. 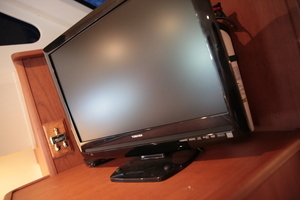 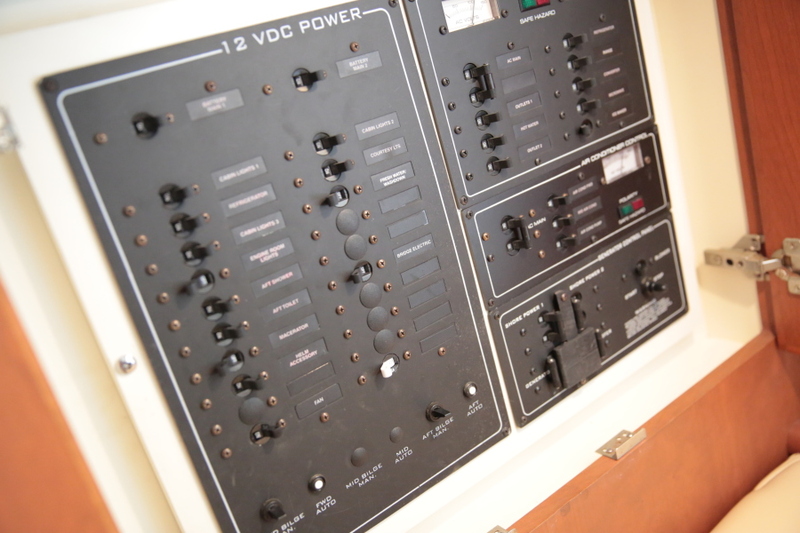 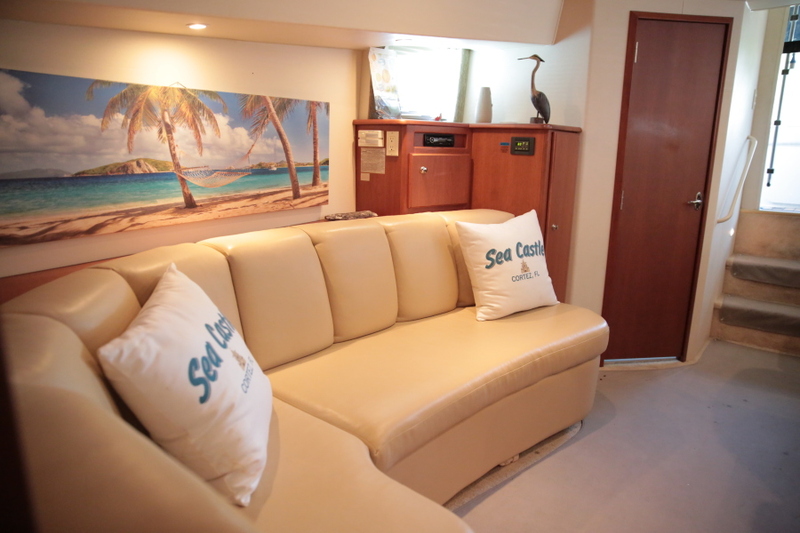 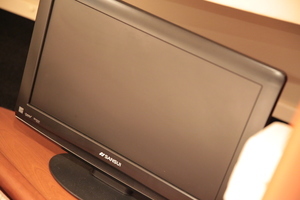 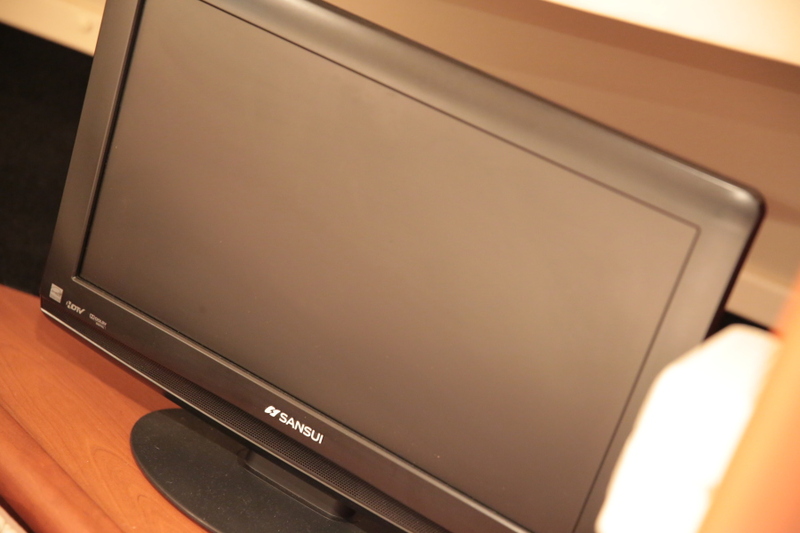 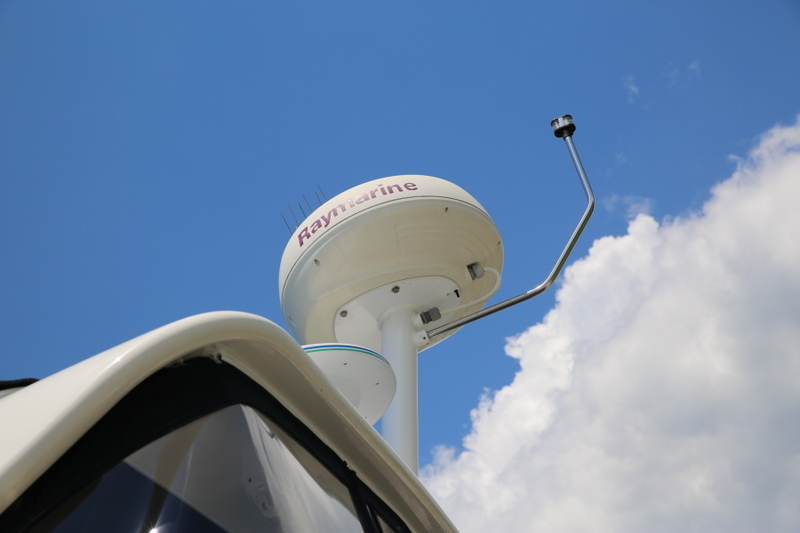 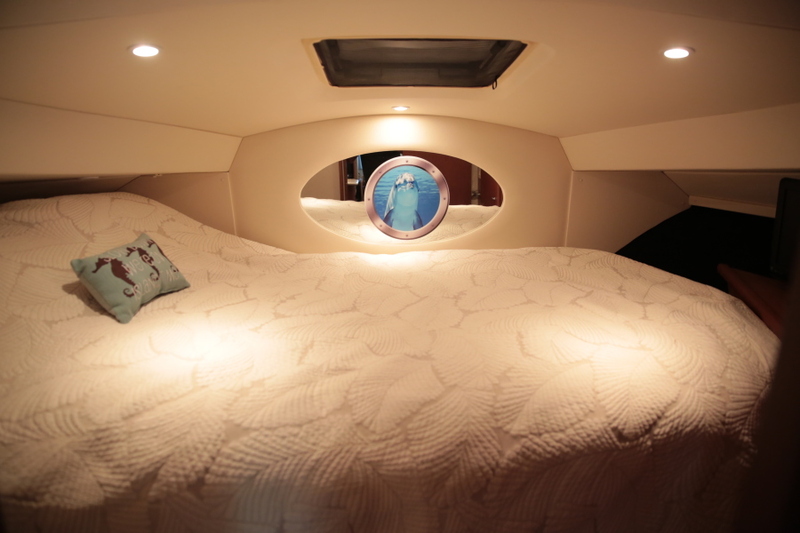 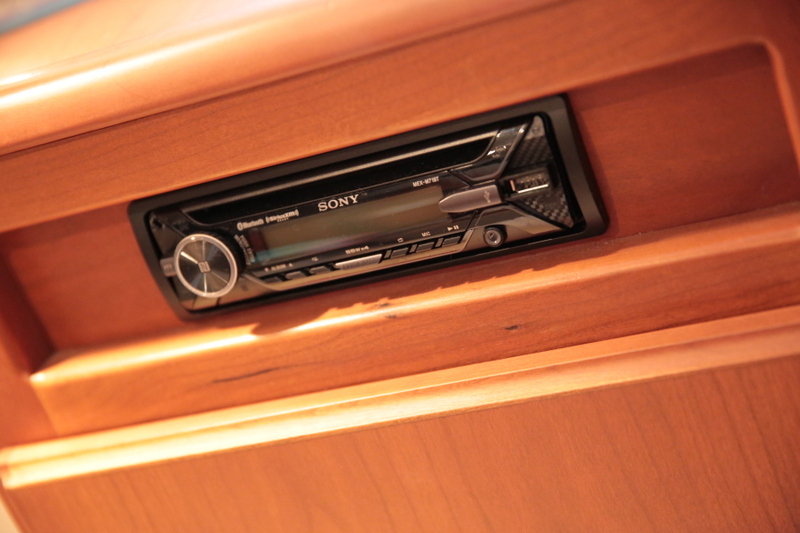 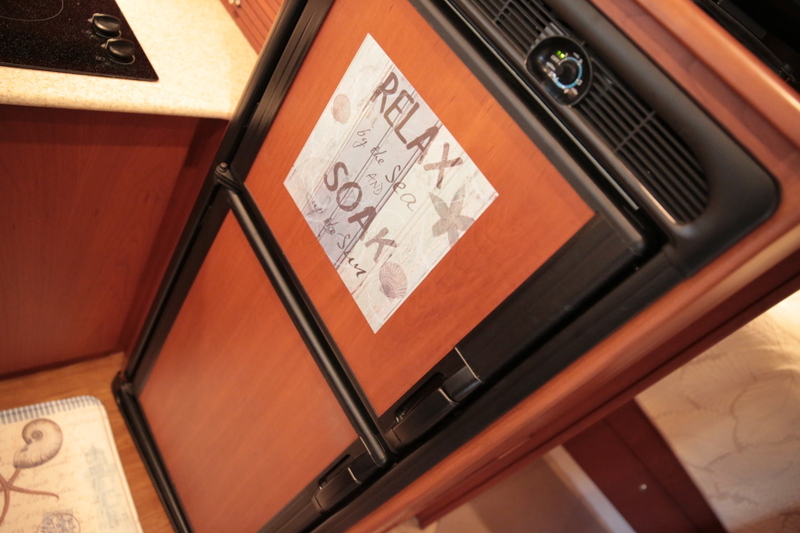 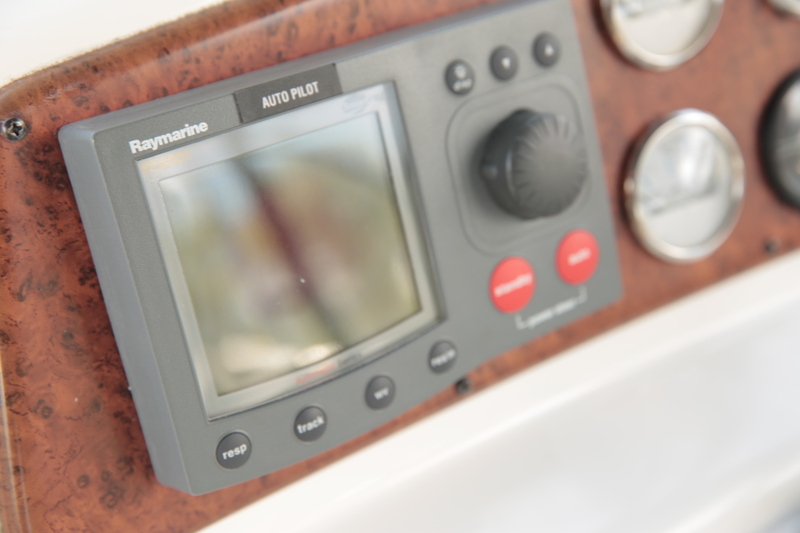 Storage abounds as well, and above the fridge the fact screen TV is secured.To Starboard is the settee, curved and comfortable.Forward still res the comfortable stateroom, with a raised berth for two, and cedar lined hanging lockers. 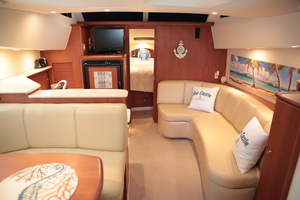 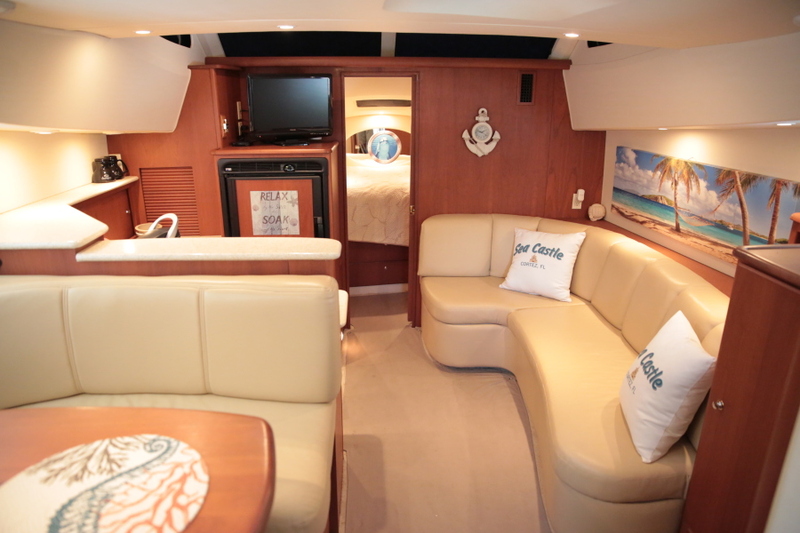 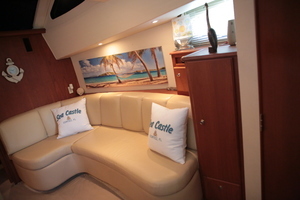 Another flat screen TV is mounted to starboard, and an overhead hatch provides natural light and ventilation.Upstairs to the bridge, an aft sunpad, and copious seating allow a quite large entertaining area. 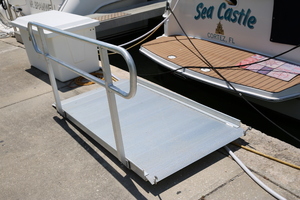 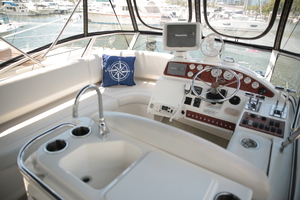 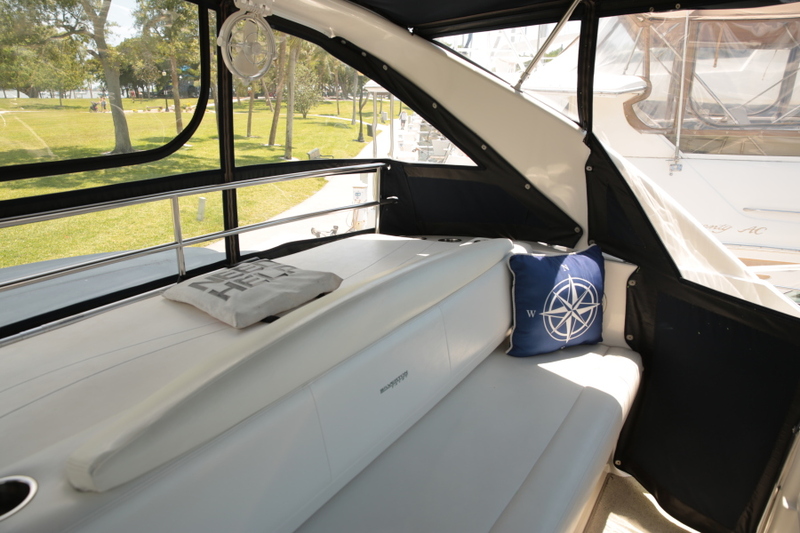 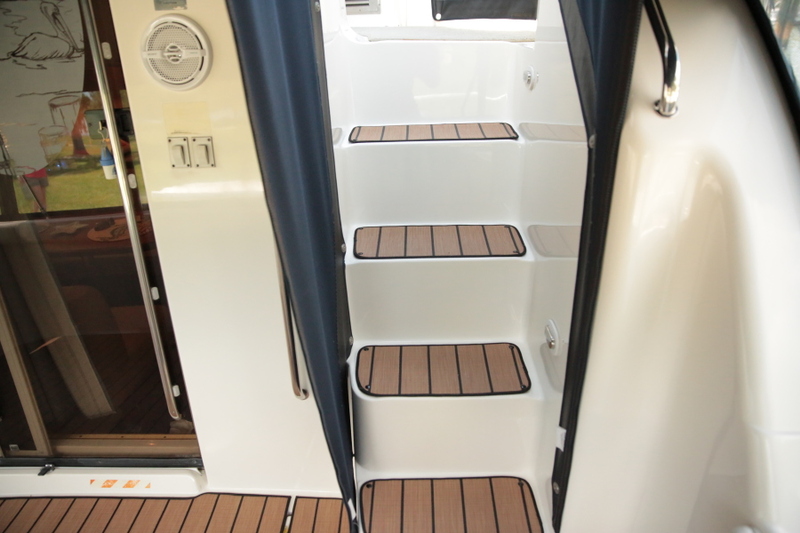 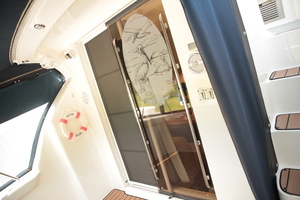 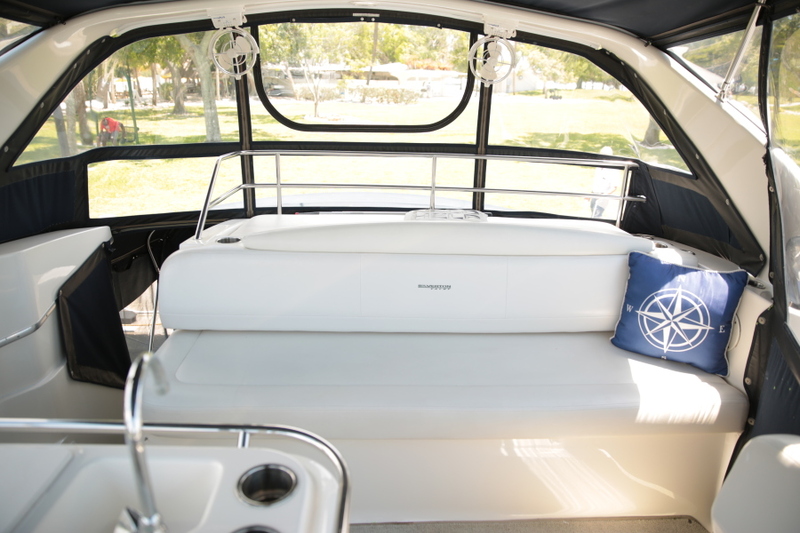 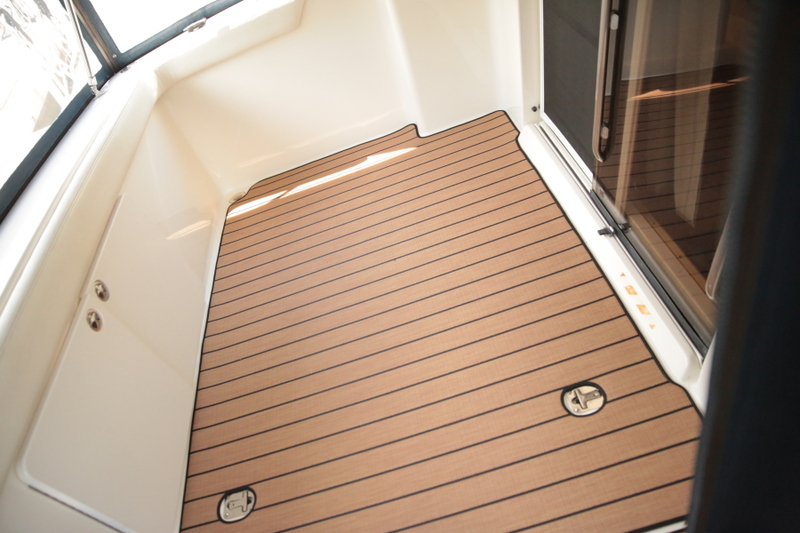 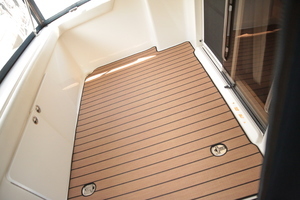 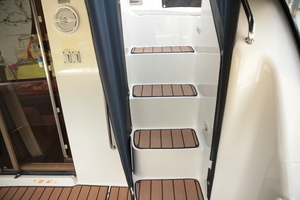 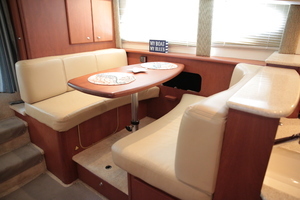 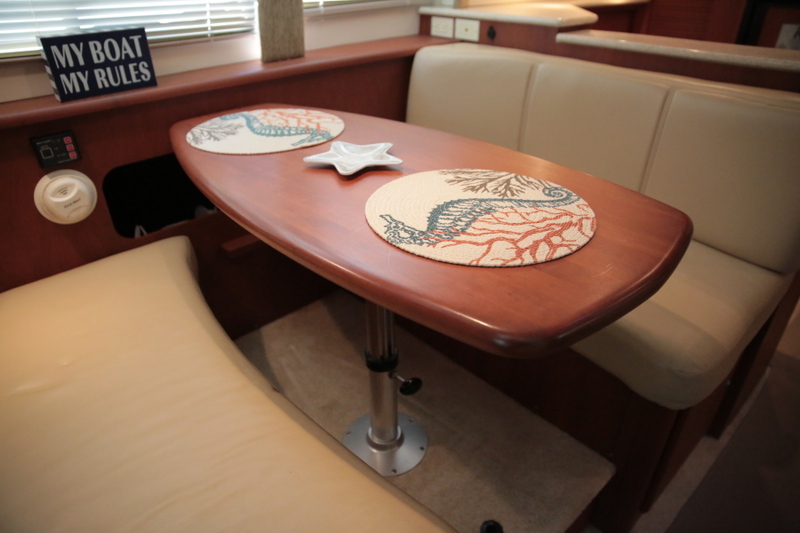 Below the sunpad sits the aft bench seat, with another port side bench seat offering additional space for guests. 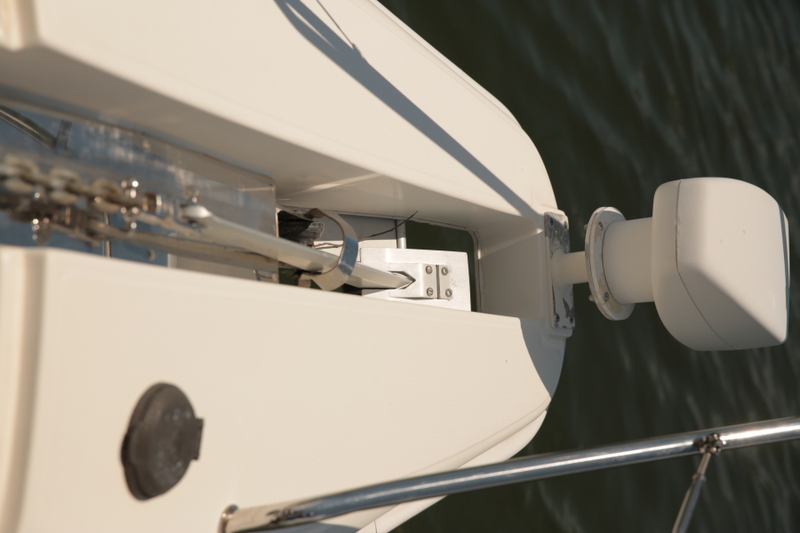 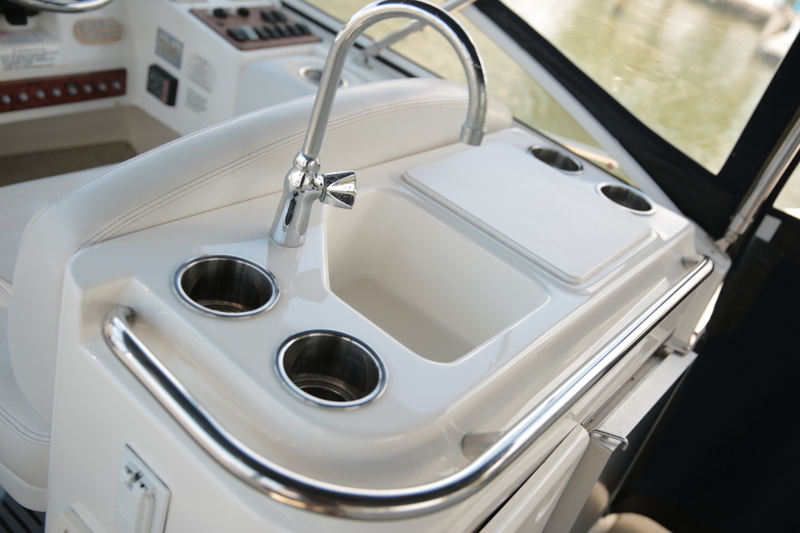 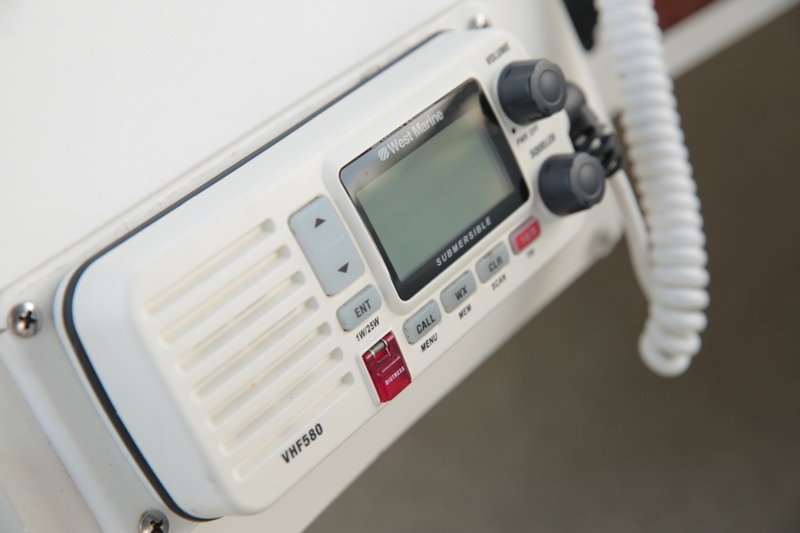 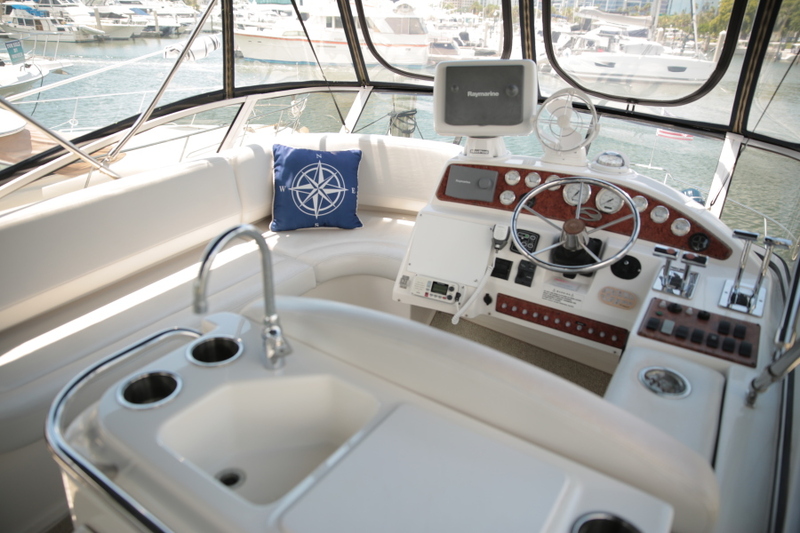 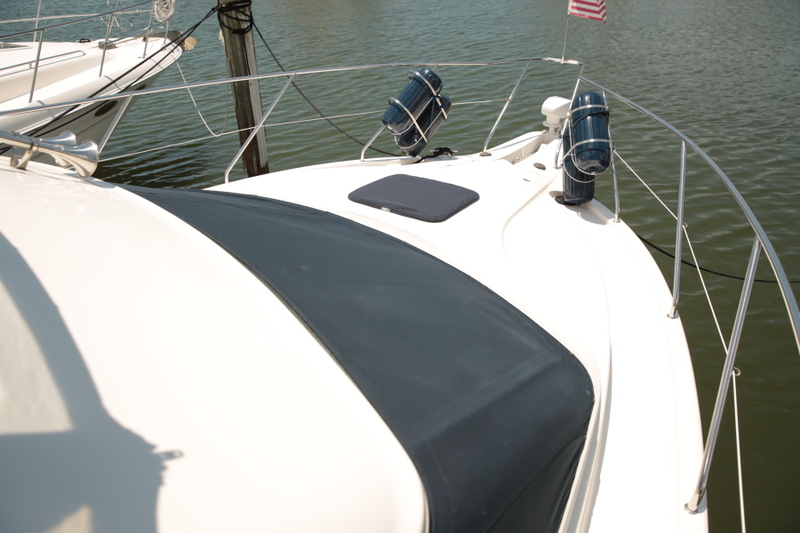 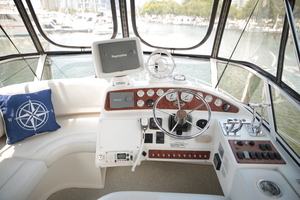 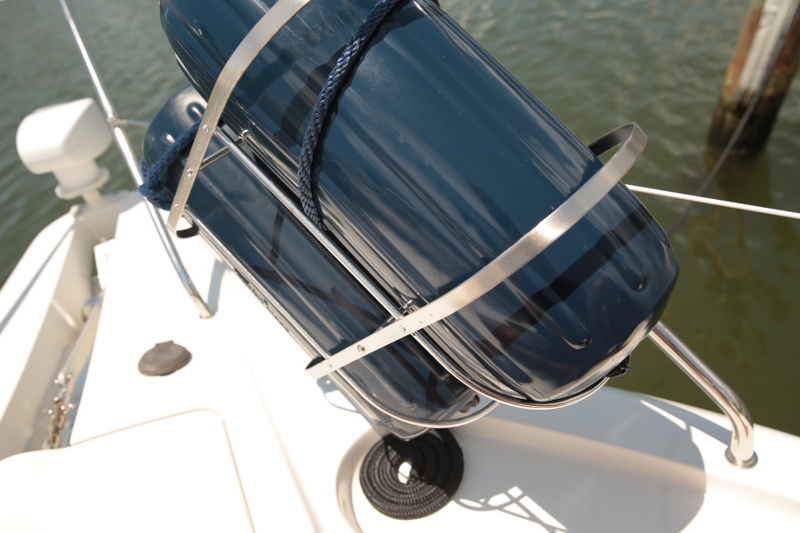 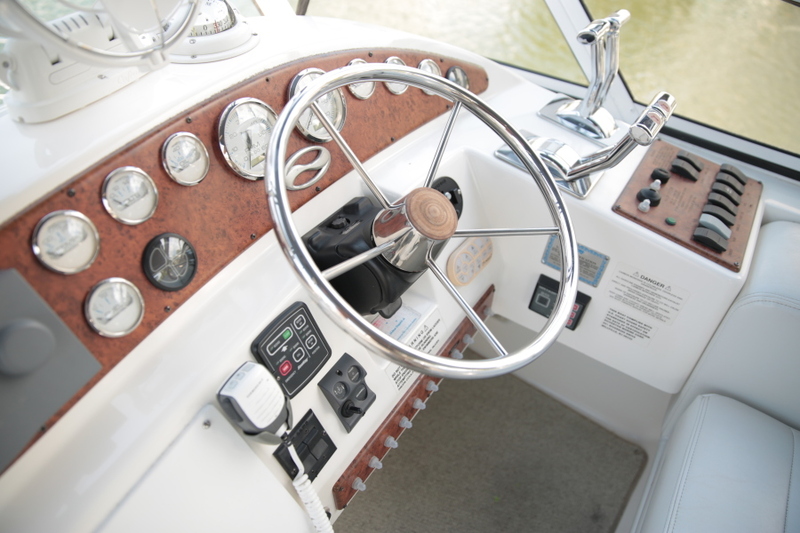 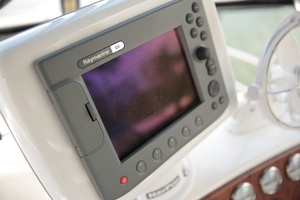 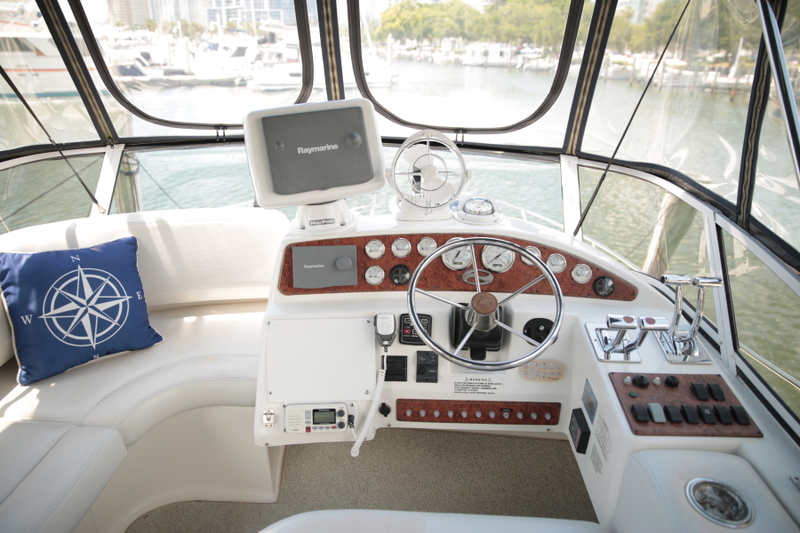 The adjustable dual helm bench provides great visibility and comfortable seating for the captain. 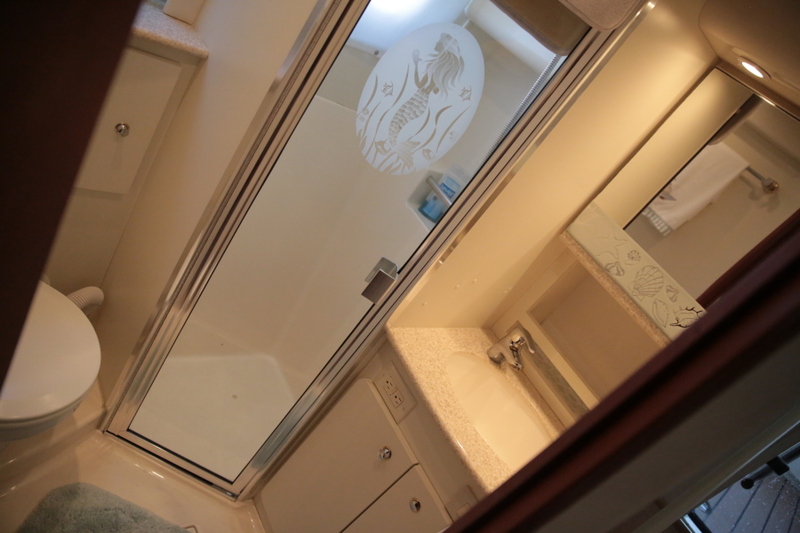 Of note - the eisenglass was just recently polished, and is crystal clear. 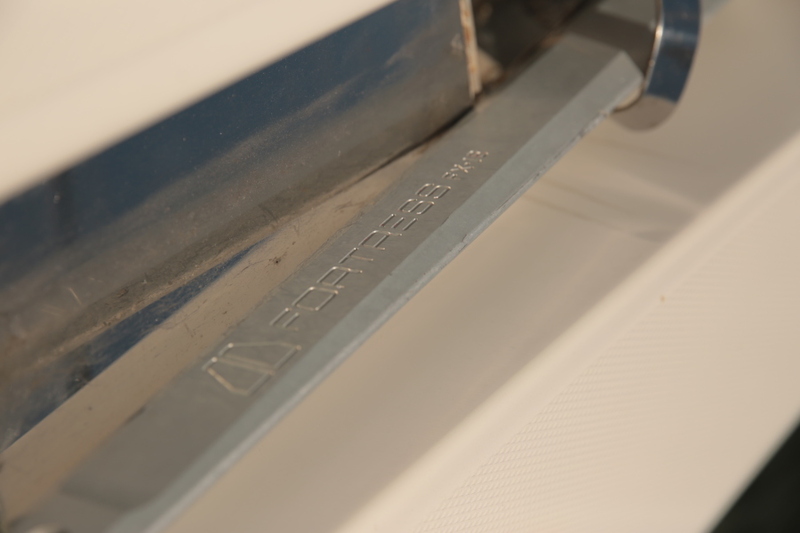 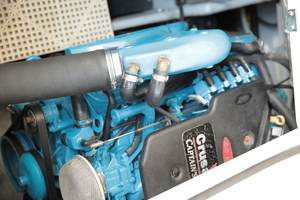 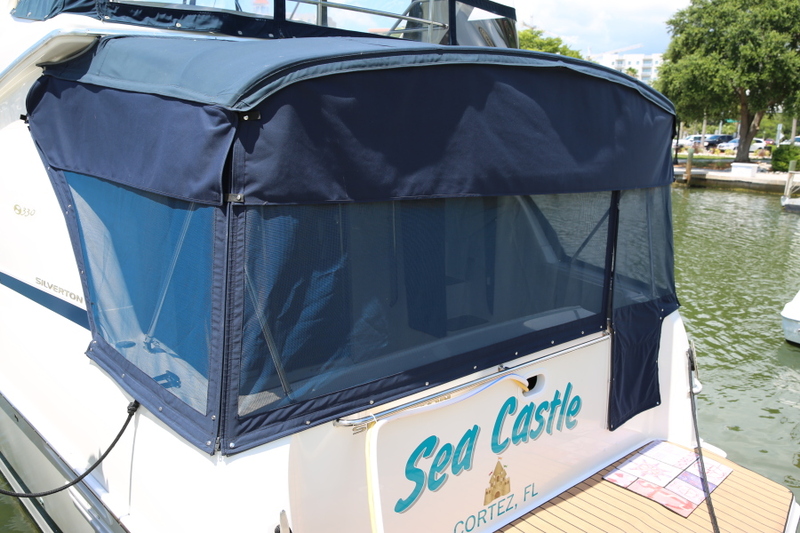 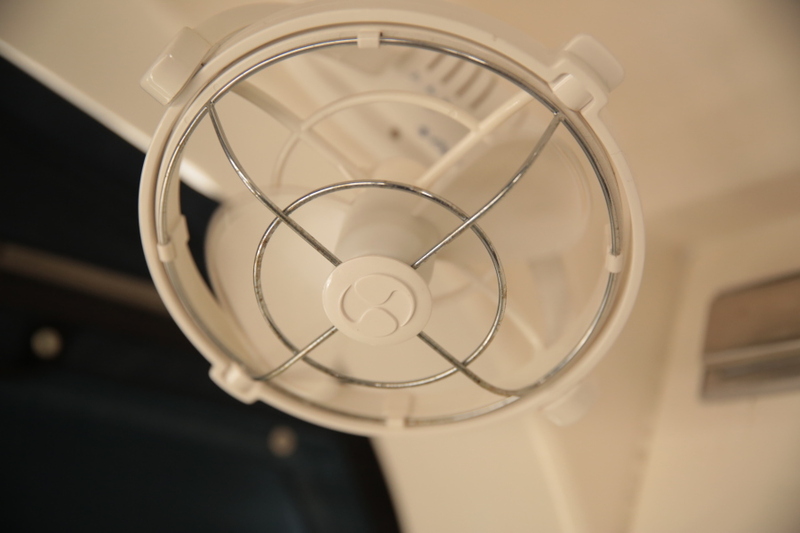 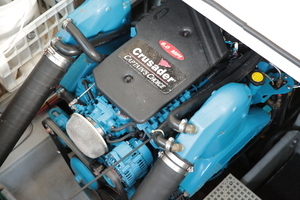 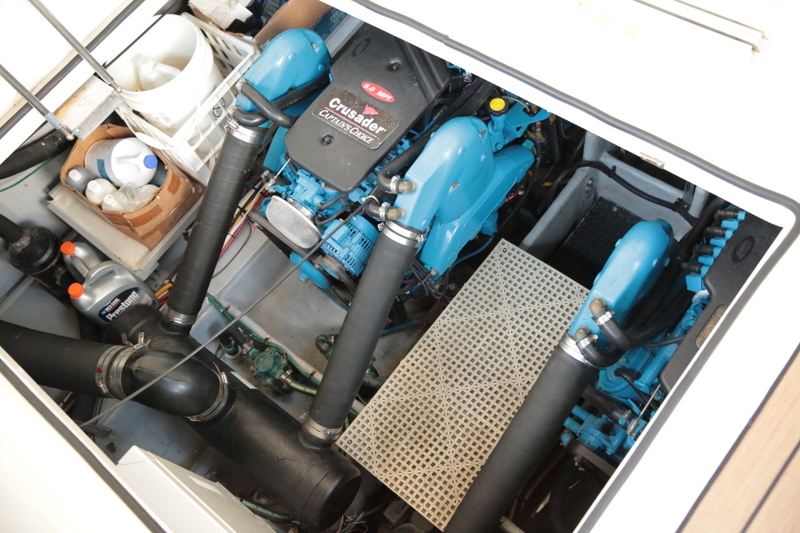 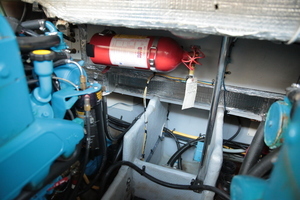 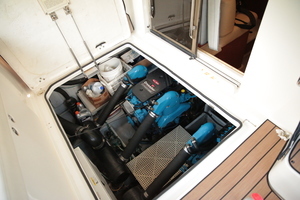 All canvas is in excellent condition, and the boat shines due to consistent, and recent detailing.